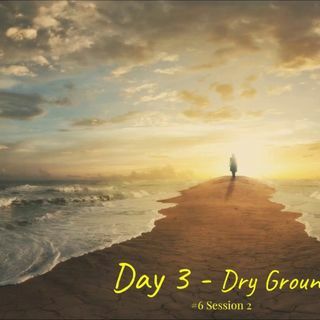 Over the next few sessions, we will be looking at the Third Day of Creation and from there bring this discussion on the first three days of creation to a close. If you recall, the first two days of creation pointed to Man’s fall into sin and how sin has to be dealt with by a holy and righteous God. This judgment eventually came about with the Flood but at the same time, God provided an Ark to save Noah and his family. Now, following the ... See More Flood, God literally gathered the waters - like what He did on the Third Day - so that life can once again be revived on the dry ground of a new world. But mankind continued to drown in the sea of sin due to their fallen nature. Instead of repenting and turning back to God, they wanted to make a name for themselves, beginning here with the Tower of Babel. Throughout the rest of God’s Word, we will see the contest between this Satan-inspired kingdom of man (Babylon) and the Kingdom of God, which we will see later is represented by God’s chosen city - Jerusalem. But the Third Day of Creation portrays an even more important reality - for just as God literally gathered the waters following the Flood, in symbolic terms, amidst what we could imagine as the sea of sin that threatens to engulf and drown us in eternal judgment, God gathered these waters and brought forth "dry ground" as it were, which is His plan to rescue us. God chose one man, Abraham, and from Abraham and his descendants, He birthed a nation, Israel, and it is through Israel that the world will be blessed, because out of this nation God gave us Jesus Christ. Oh, what a wonderful picture of hope and salvation that God shows us on this Third Day of Creation!